Zach had 12 volunteers last year, but wanted 20. While trying to recruit more, he lost three of his existing volunteers. Just a few weeks ago I had the opportunity to train a room full of paid church staff how to recruit, train and keep today’s “New Breed” of volunteers. Funny… I’ve seen numerous seminars and read a myriad of books about how to recruit volunteers, manage them and train them. But rarely do people talk about keeping the ones we got! Don’t dip into your volunteers’ wallets, ever. 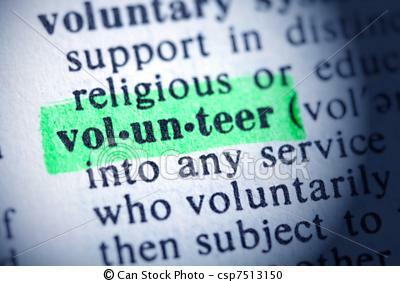 Personally, I’ve found that financial supporters are much easier to find than volunteers. Always factor in your volunteers in your event budgets so that they can come for free. If bowling night costs $10 for bowling & gas, charge $12 and you’ll be able to pay for one volunteer for every five kids. Not bad… except for the bowling part. Do the same with camps and conferences. I remember times where I couldn’t afford to pay for volunteers in my conference budget, so I called up Mike, a donor who was happy to write a check, knowing it was an investment putting mentors in the lives of kids. Your volunteers should always know that their time is appreciated, and their money isn’t needed. I always tried my best to make the “volunteer experience” a fun one for my adult leaders. Staff meetings often were around dinners—swapping houses each meeting (many of my adults leaders looked forward to their turn to host the meeting at their house and feed the team). On trips, I provided each of my volunteers with a $5 each day to spend on “milkshake conversations” with kids. I told them, just bring me the receipt and write down the name of the kid you met with. This was a WIN/WIN. My leaders loved milkshakes, they appreciated that they didn’t have to dig in their own pocket, and I had 15 leaders meeting with 5 kids a week at camp. Do the math. That’s a lot of mentoring time. Question: What are you doing to keep your volunteers engaged in the ministry?